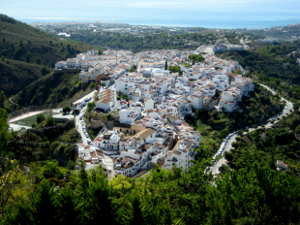 Frigiliana is voted the 'prettiest village in Andalucía' by the Spanish tourism authority. The village is a tangle of narrow cobbled streets lined by whitewashed houses, their wrought-iron balconies filled with planters of brilliant red geraniums. Small plazas provide shady seating while the village bars are popular with visitors who come here to taste the locally produced wine. There are also several excellent shops selling pottery and ceramics, including decorative plates with their distinctive Arab design. Frigiliana is best explored by foot. There are several buses a day that run from Nerja or, alternatively, leave your car at the car park at the bottom of the hill. Although the village is deservedly on the coach tour circuit, thankfully it hasn't yet wrenched to the demands of mass tourism with innumerable souvenir shops and overpriced bars. 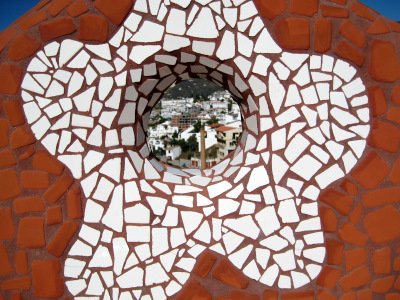 Get a taste of the real Spanish life style in Frigiliana, the perfect place for your home or summer house! Nerja is one of the most famous places in the Axarquia region. 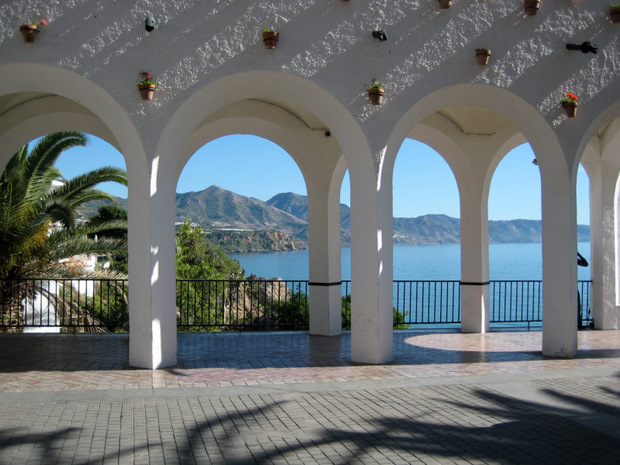 It is located in the eastern Costa del Sol in the Province of Malaga. What was once a historical white built fishing village is now the “pearl” of the Costa del Sol”. With only a distance of 53 kilometers from the provincial capital city of Malaga. Nerja is known for its variety in 7 different sandy beaches along it coastline from small coves next to the town centre to 2km stretched beach called Playazo. Then more inland you will find some nice urbanization like Capistrano village. Or you can enjoy the beauty of Burriana Beach and have a taste of the famous paella at beachfront restaurant Ayo´s. Important tourism in this town are the caves and also famous by the great July festival performances inside the caves. Next to the caves you will find the lovely white village of Maro, a must visit place. And not to forget the beautiful Balcon of Europe with views over the Mediterranean Sea. 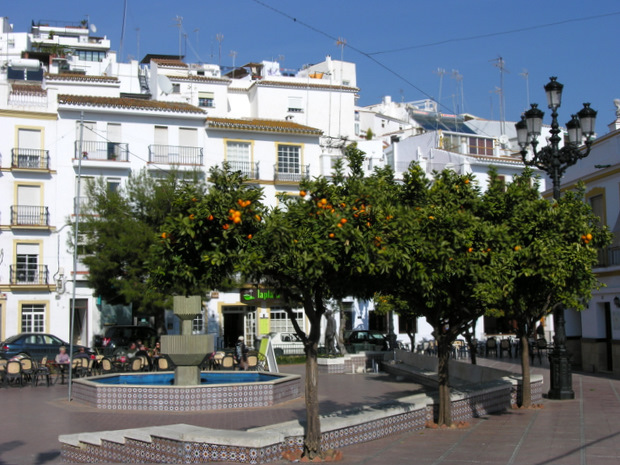 Nerja offers all the main facilities like markets, shops, bancs, bars and restaurants. 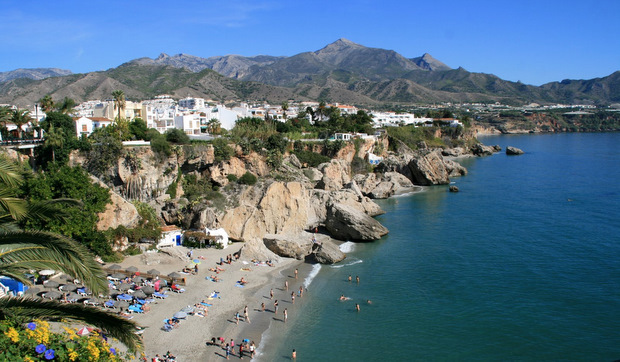 Nerja has been chosen by many foreigners of all kinds of nationalities to have their summer homes here. Nerja the Pearl of the Costa del Sol! 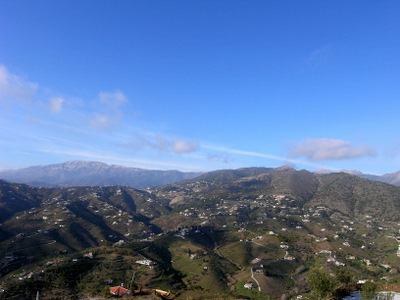 Torrox is located within the area of the Axarquia only 50 kilometres east of Malaga. It has four urban nuclei: Torrox Costa, Torrox Park and El Morche on the coast and Torrox Pueblo situated 4 kilometres inland and 145 metres above sea level. Torrox Pueblo is an Andalusian village with two thousand years of history, located 4 kilometres inland. The Moorish occupation left its trademark in the town´s layout with its narrow inclined streets. The village is protected by the Natural Parks, Sierra Almijara and Tejada. The excellent temperature has made Torrox obtain the title of “The Best Climate in Europe”. Torrox Costa offers 9km of coast where you find clean and well kept beaches and coves such as Calaceite, El Peñoncillo and Ferrara. 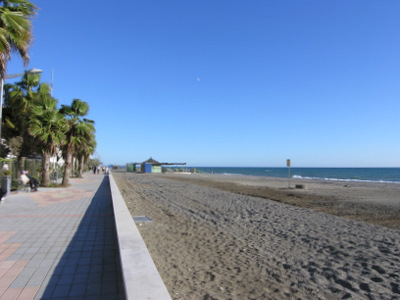 The centre of Torrox Costa offers a large promenade for a nice stroll along the beach. The east of the main town, alongside the lighthouse, the new “Balcon of Torrox” has been constructed as a lookout to the sea and headlands and with transparent flooring looking down on Roman remains. A wide variety of restaurants, beach bars, shops, supermarkets, recreation and sports centres and all types of lodging, makes Torrox Costa a four season destination. Torrox Park is located between Torrox Costa (El Peñoncillo) and Torrox Pueblo. An urbanisation of villas, apartments and terraced houses with its own small commercial centre. 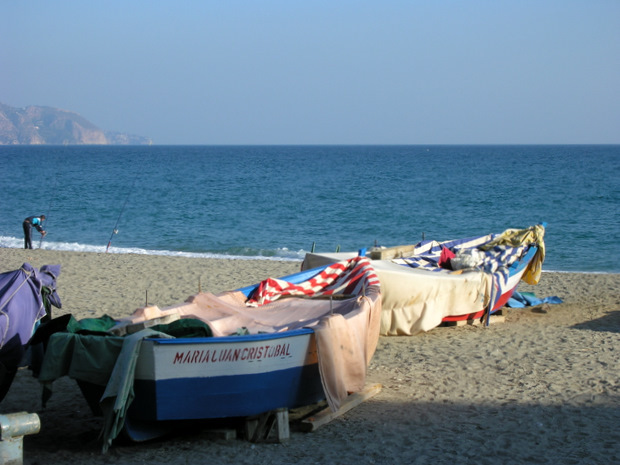 El Morche , on the coast to the west of Torrox Costa, is a small unspoilt sea-side village. Torrox is a place with all comforts but lacking the exhausting massiveness of other touristy destinations. At only 5 minutes drive from Nerja, 35 minutes drive from Malaga centre and 45 minutes from Malaga Airport. Here you can have a quiet villa holiday in the Torrox countryside with the convenience of easy access to modern Costa del Sol holiday resort facilities at the coast. Cómpeta is part of the Axarquia region in the Province of Málaga. It is situated at 630 meters above sea level and its setting amongst the spectacular mountain rage of the sierra Almijarra makes it a fantastic place for mountain walks. 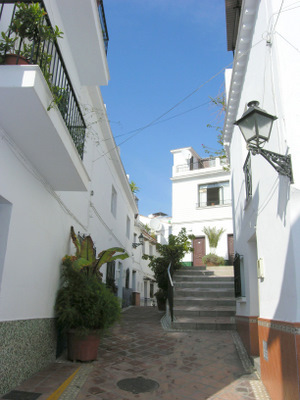 The town itself is characterized by narrow streets and the white houses that are so typical for Andalucía. Cómpeta is still a mainly agricultural town, where the original dedication was the growing of Olives and Almonds, but the growth has diversified a lot and now you will also find tropical fruits like advocates, custard apples, mangos and kiwis. Apart from agriculture, tourism is an important source of existence for the town. 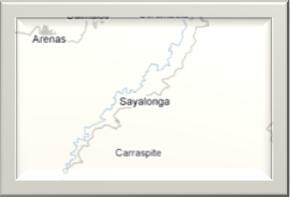 Sayalonga, situated in the Axarquia , is located 9 kilometres from the coast and 45 kilometres east of Malaga. Sayalonga offers bus connections to neighbour villages and the coast. By car it is only 10 minutes drive to the beaches and 45 minutes to Malaga airport. The neighbour municipalities are Competa, Archez, Arenas, Algarrobo and Vélez-Malaga. ‘plaza’ is the meeting place for locals and tourists enjoying their drinks & tapas in our outside the small bars/restaurants. Close to the Sierra Almijara National park, a paradise for nature lovers and those looking for activities like walking, hiking, bicycling and horse riding in an unspoilt natural environment. Sayalonga is the paradise of the Níspero in the Axarquia but also vineyards, citrus, olive, almond and avocado trees flourish in this beautiful area.